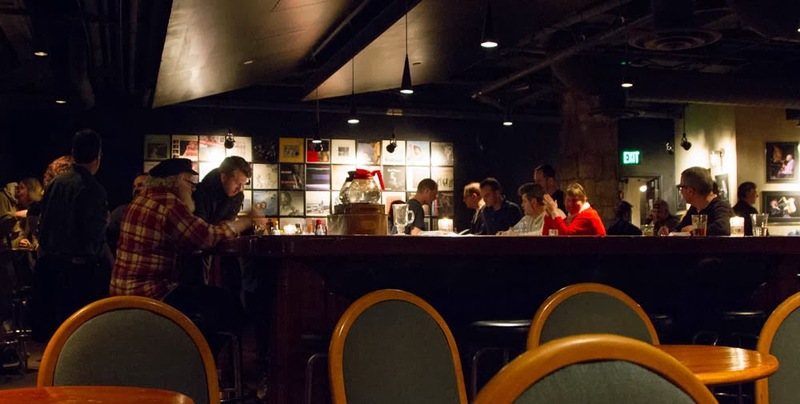 The countdown to midnight on New Year’s Eve will be especially significant at the Artists’ Quarter, the basement jazz club in St. Paul. It will also be a countdown to the club’s closing its doors forever, perhaps to be reborn in a different form but never how it used to be. For those of us who love the place, the past two months have been a countdown. The final appearance of Pete Whitman’s X-Tet in November. The last time Pat Mallinger and Bill Carrothers would have a weekend there. The last night the Dave Karr Quartet would play. And the Tuesday Night Band, and the Dean Granros Trio, and Snowblind, Bryan Nichols, Dean Magraw, Zacc Harris, Eric Alexander and David Hazeltine, the Adam Meckler Band, the Cory Wong Quartet, Brandon Wozniak, Valves Meet Slide, Lew Tabackin. We ticked off the regulars we could count on seeing there once a month, or once or twice a year. They came, they played, they said goodbye. 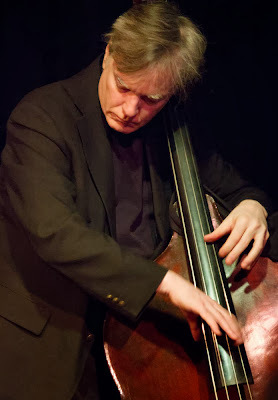 Last night it was the Phil Hey Quartet, part of the fabric of the AQ from the start. Fans know Hey for his splendid drumming and his outspokenness. Both were in evidence on Thursday. Like many nights since owner Kenny Horst announced that the club would be closing, the AQ was packed to capacity, people squeezed around tables, stacked at the bar, standing in the doorway and against the back wall, some even seated on the floor near the stage. Hey addressed the crowd early in the first set and often throughout the night, letting us know what we had heard or would be hearing, telling us something about the composer, joking that “Duke Ellington was a pretty good musician, I don’t care what anyone says,” basking in the unfamiliar heat and glow of a house full to bursting. And later: “I can say what I want up here tonight. What are they gonna do, not hire us again?" There was no encore, because what can you say after this? Many of us probably heard the lyrics in our heads: “I’ll be seeing you/in all the old familiar places ... I’ll find you in the morning sun/and when the night is new/I’ll be looking at the moon/but I’ll be seeing you.” A song about seeking, not finding; about melancholy, memory, and loss. It was a jazz journey, a jazz survey, a jazz class way beyond 101. Swinging, sincere, and so generous, performed by four musicians in peak form, playing this challenging, difficult music for a ridiculously low five dollar cover charge. 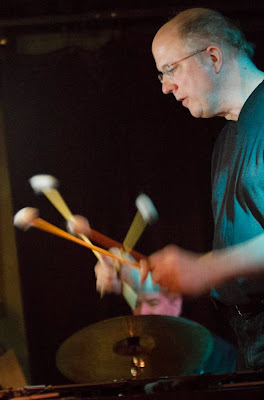 Hagedorn’s sticks (sometimes two, sometimes four) were a blur, and we were reminded that one of the world’s most distinguished vibes players lives here in Minnesota and teaches college in Northfield. Aaron’s pianism was precise, powerful, and expansive. He’s all about the music and doesn’t bother much to engage with the audience, so it’s sometimes easy to overlook his tremendous artistry. With Lewis, as always, every note was distinct, whole, and rounded; his bass is almost a keyboard, and his command of it absolute. Hey, the master, used sticks and mallets and brushes to paint great splashes of sound, and delicate tendrils, and landscapes bright with the brass of his cymbals. 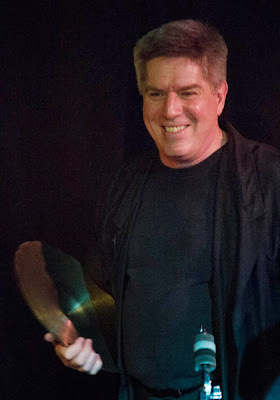 Hey is a magician on the cymbals – and on something that looked like a small Chinese gong, he made notes bend and twist like streamers in the air. The crowd, respectful, listened hard, and some people stayed through both sets. (Davis Wilson had said at the start of the night that “it’s okay to bonk your neighbor on the head and tell him to hold it down.”) There were many familiar faces, but more unfamiliar ones. Who were they? Jazz tourists? Funeral crashers? People who know the place is closing and want to be able to say they were there? 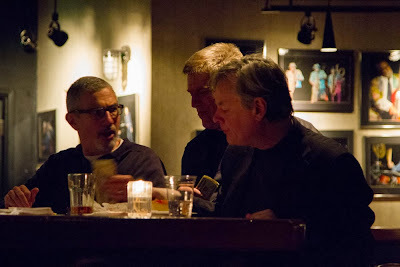 (Lately, a lot of pictures are being snapped of people seated at tables and the bar, people standing in the door or before the big mural.) 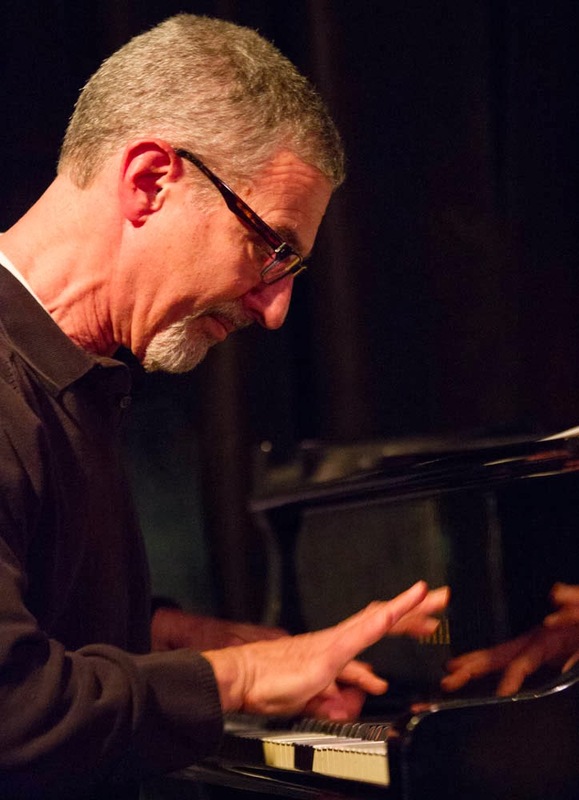 Are some finding out that jazz is more approachable and enjoyable than they thought? Are new jazz fans being made? If and when the AQ returns, in whatever form, will it draw larger audiences? 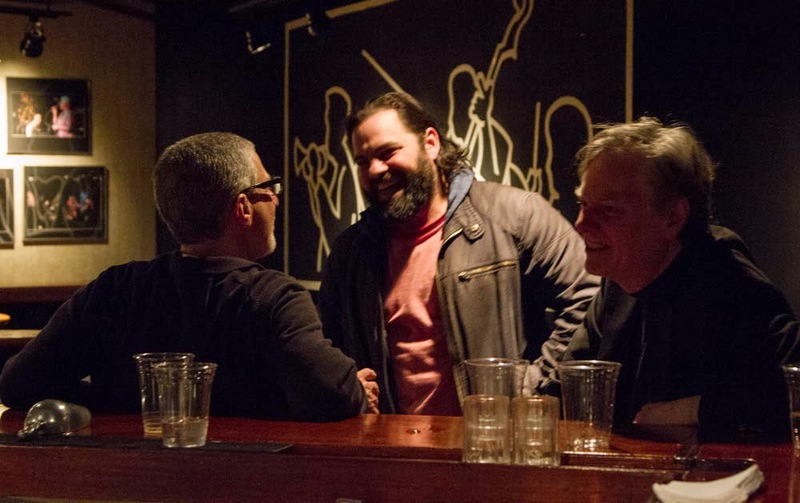 Will the death of the AQ we know lead to a rebirth of support for jazz in the Twin Cities? I admit to complacency on my own part over the past several years. I knew that if I didn’t see the Phil Hey Quartet on a given Thursday night, I would have another chance the following month, and I thought that would last forever. Now I know better. Like everyone else, I crowded in for last night’s last hurrah. Tonight and tomorrow, the Artists’ Quarter is hosting two jam sessions, billed as the AQ’s Final Weekend Jams. Friday’s rhythm section will feature Phil Aaron, Saturday’s Bryan Nichols, and many musicians are expected to show up for one last moment on the AQ’s stage. On Sunday and Monday, the club will be closed as preparations are made for New Year’s Eve.